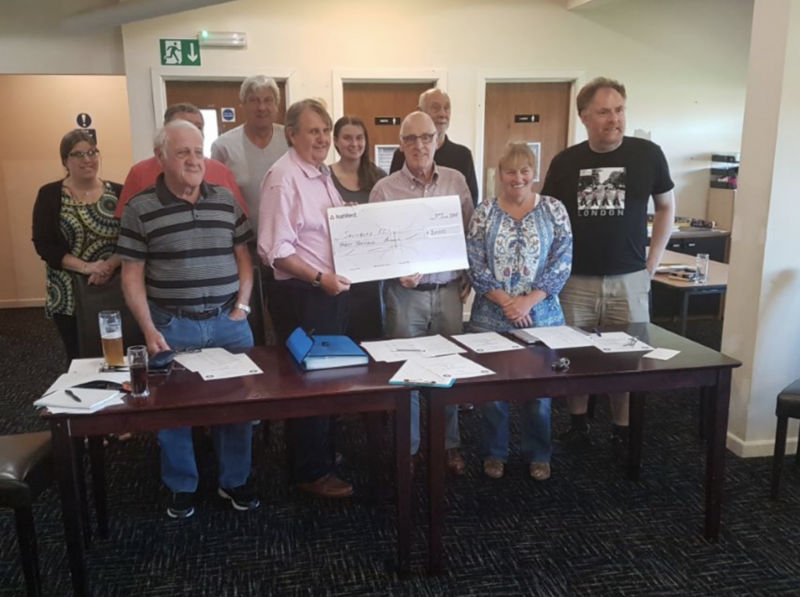 At the SFC Supporters’ Club AGM held at the Club last night Director Jeremy Harwood was presented with a cheque for £3000 by SFCSC Chairman Gordon Plumb. This latest donation, following those totalling £10500 last season, is the result of their many fundraising efforts for the Club and local Charities. The membership fee for the coming season remains unaltered at £5.00, and supporters can renew at the first home league game when application forms will be available, and therefore enjoy the benefits of reduced travel costs and the various discount schemes in place.